Lance Corporal Edward Benning (killed 9th August 1915, name on the Menin Gate, Ypres) lived at Number 75 Burmester Road. According to the 1911 census, his father was a pastry cook/confectioner and his sister a baker so maybe they ran a shop on the corner where KwikFit now is. Edward though was already a soldier in the army and home on leave at that time. 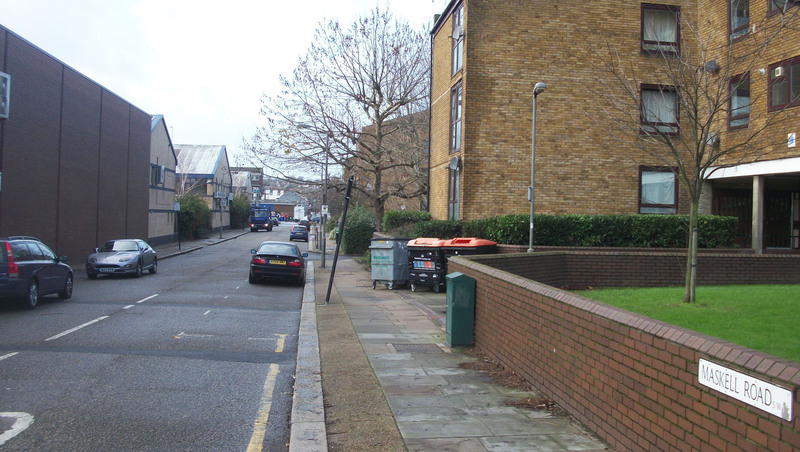 Today however there is no Number 75 Burmester Road – the street ends abruptly at Number 73. 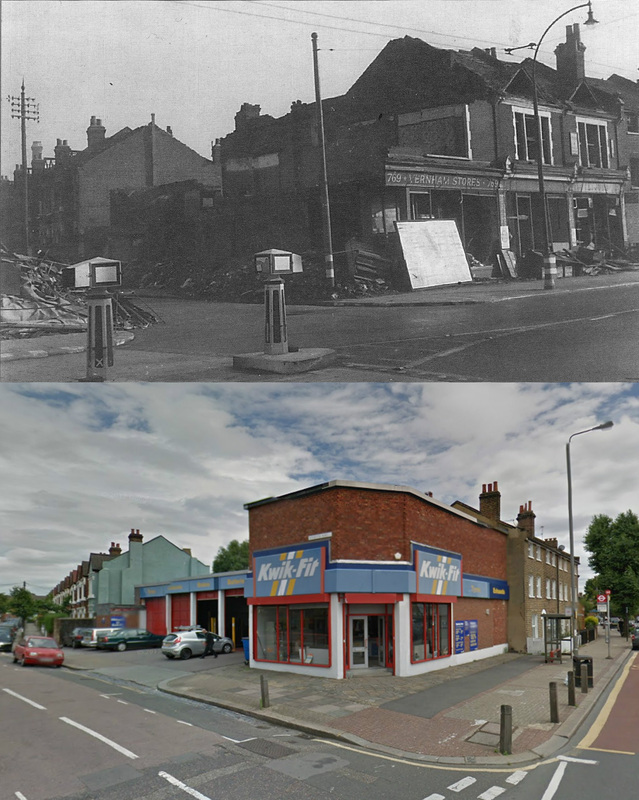 On Sept 12th 1940 a bomb destroyed this corner where Burmester Road meets Garratt Lane. Thankfully the Benning family had long since relocated to Peckham. It looks to me from this photo as if, Number 75 (roughly where that silver car is) took a direct hit. The Battle of Jutland, fought in the icy waters of the North Sea off the coast of Denmark on 31st May to 1st June 1916 was the largest naval battle of the First World War. It cost roughly ten thousand lives and this included five of the Summerstown 182. Fourteen British and eleven German ships were sunk. Both sides claimed victory. 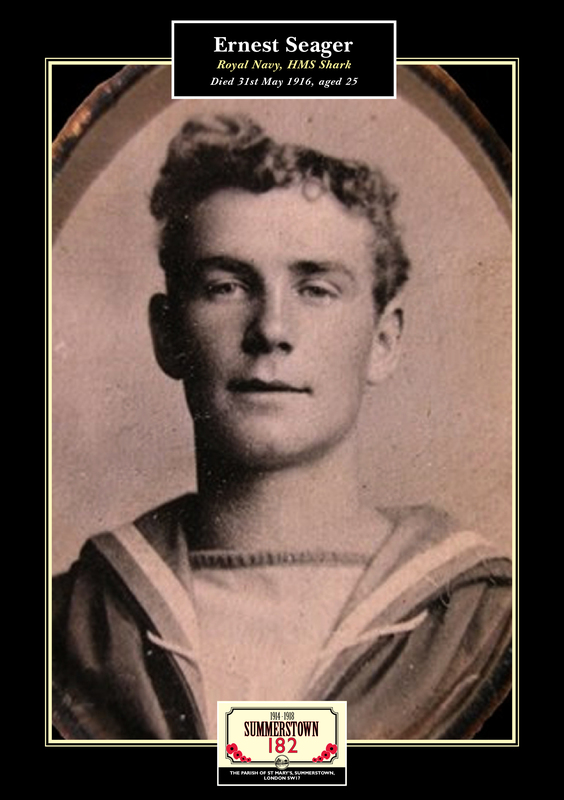 Seventeen year old Percy Newman from 590 Garratt Lane was one of the 903 men and boys who went down on HMS Defence. There were no survivors. Reginald Cooper and George Rudge were drowned on HMS Invincible. There were 6 survivors of 1021 on board. Ernest Seager, pictured above was one of three servicemen all killed from the same family on Thurso Street. He died on HMS Shark. ‘Stoker First Class’ Cooper lived on Swaby Road and the homes of Percy Newman and George Rudge have been swallowed up by the Burtop Road Estate at the bottom of Burntwood Lane. In this development Turtle and Headworth roads disappeared completely and one side of Maskell Road on which at least nine of the 182 lived is no longer residential. HMS Barham survived the battle but was struck six times by ‘large calibre projectiles’ killing 4 officers and 22 men. It was at dawn and close to the end of the battle when the last of these hits caused many casualties and wrecked her wireless equipment. It is most likely in this assault that Henry Briggs, the 20 year old Sick Berth Attendant from Elton’s Cottages was mortally wounded. His body was never recovered but his name is on a memorial in Lyness Royal Naval Cemetery on the island of Hoy in the Orkneys. Another sailor lived just three doors away from Percy at 596 Garratt Lane. John Henry Wood was ‘Stoker First Class’ on HMS Iphigenia. One of 583 men drowned on 23rd April 1918 in an ill-fated attempt to block the Belgian port of Zeebrugge. Reverend John Robinson was the vicar of St Mary’s Church from 1899 to 1923, presiding through the extremely difficult years of the First World War. He had known many of these young lads all their lives and had seen them grow up. Many had passed through his thriving Sunday School, some had even taught there. Now they were going off in their hundreds to fight a war. In the monthly parish magazine he kept note of members of his parish who had volunteered for service, recorded their progress and agonised over the effect that the mounting losses were having on this close-knit community. Ultimately he acknowleged their sacrifice, ensuring that their names would be remembered forever through a permanent stone War Memorial in the church. On 22nd October 1918 he wrote in the St Mary’s parish magazine ‘May we never forget our heroes. When the long prayed-for peace arrives I hope we shall be able to place somewhere in the church a permanent memorial containing the names of all the men from our parish who have given their lives’. John Robinson was born on 21st November 1865 at Weston Colville in Suffolk, the son of Reverend John Lovell Robinson who was of Irish descent. He was educated at Marlborough and Cambridge where he was a keen rower and rugby player. He was ordained in 1888 and after six years at St Stephen’s in Walworth he took charge of a Mission at Waverley Park in Nunhead. In 1899 he married Minnie Hopkins in Surbiton and came to St Mary’s in Summerstown. A daughter Margaret was born in 1900 and four years later twin sons, John and Innes. The previous church at St Mary’s, built on the area of land between the north end of Keble Street and Summerstown, roughly behind the small strip of shops next to the present Texaco garage, had been demolished in 1893 due to insecure foundations. For the next ten years services were conducted in an adjoining ‘tin tabernacle’. This was a period of massive change for the area with an influx of new residents and the construction of Keble Street and great development to the south of Wimbledon Road with a wave of new houses being constructed in a network of streets that became known as ‘The Fairlight’. 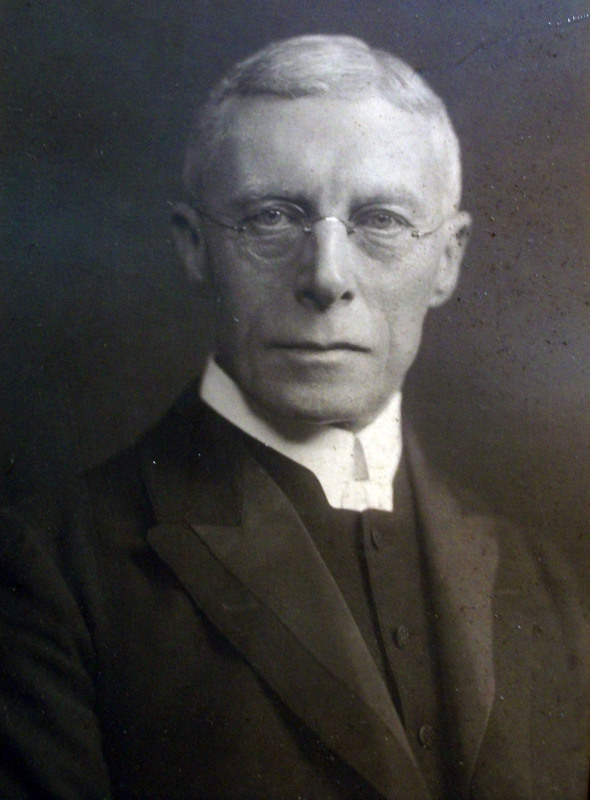 With work starting in November 1902, Reverend Robinson presided over the building of the current church at a cost of £11,000 designed by the renowned architect Godfrey Pinkerton. The foundation stone was laid by Queen Victoria’s daughter, Princess Christian on 4th April 1903. The names of up to 600 Sunday School children, including some of the Summerstown182 are buried in a bottle beneath this stone. The Robinson twins were the first children to be baptised in the new church on the day of its consecration, 30th April 1904. Having served at St Mary’s through this extraordinary period of exxpansion to be followed by the First World War which took so many lives, John Robinson moved on in 1923. He became vicar of Downton near Salisbury, which was where he presided until his death on 11th February 1939. Both of the twins went to Africa and tragically one of them, John Lovell Robinson who worked in the Nigerian Civil Service died there in 1936 having only got married the previous year. Reverend John Robinson regularly kept in contact with St Mary”s after he had left and the numerous references to him in the parish magazines of the time indicate the respect and affection in which he was held. Private William Warman from 51 Alston Road was a twenty year old stretcher-bearer in the East Surrey Regiment, caught up in the aftermath of the German Spring Offensive, 21st-26th March 1918. This surprise attack known as the ‘Kaiserschlacht’ saw the greatest territorial advance since 1914 and almost changed the course of the War. Paul McCue in his book on the Wandsworth and Battersea Battalions describes how Private Warman brought in thirty wounded men under heavy enemy fire and single-handedly carried a severely injured officer several miles back to a dressing station. 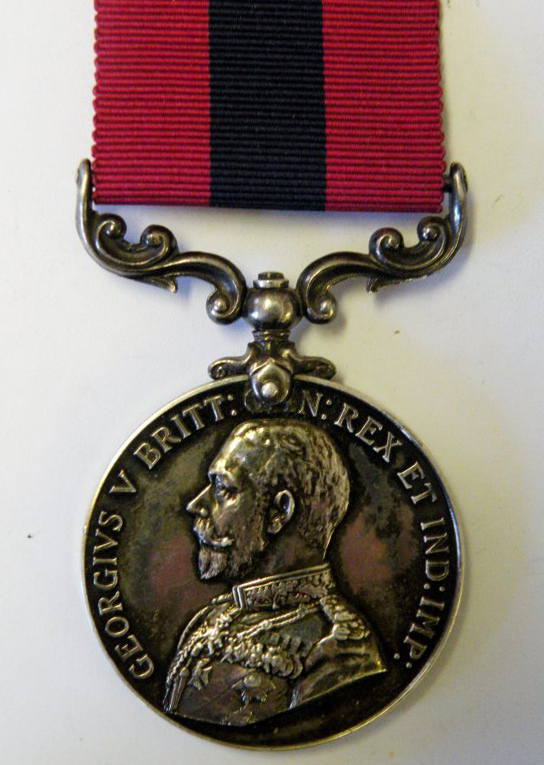 For this bravery he was awarded a Distinguished Conduct Medal. Unfortunately some weeks later he was captured and taken prisoner. He died a POW in Hamburg on 4th December 1918, tragically just a few weeks after the Armistice ending the war was signed. A friend in Germany will soon be visiting the grave and sending us a photo. The son of John and Ellen Warman, he was one of seven children, six boys and a girl living at Maskell Road in 1911. By the time the War broke out they had moved to Alston Road, close to the site of the Council’s ‘Dust Destructor’ facility and where St Mary’s Church would soon build its Sunday School.